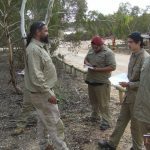 The purpose of the Zoos SA Aboriginal Learning on Country Program is to provide training and employment opportunities for Aboriginal people that will enable them to connect with country and develop skills and knowledge to contribute to conservation and land management outcomes at Monarto Zoo and in the wider region and beyond. 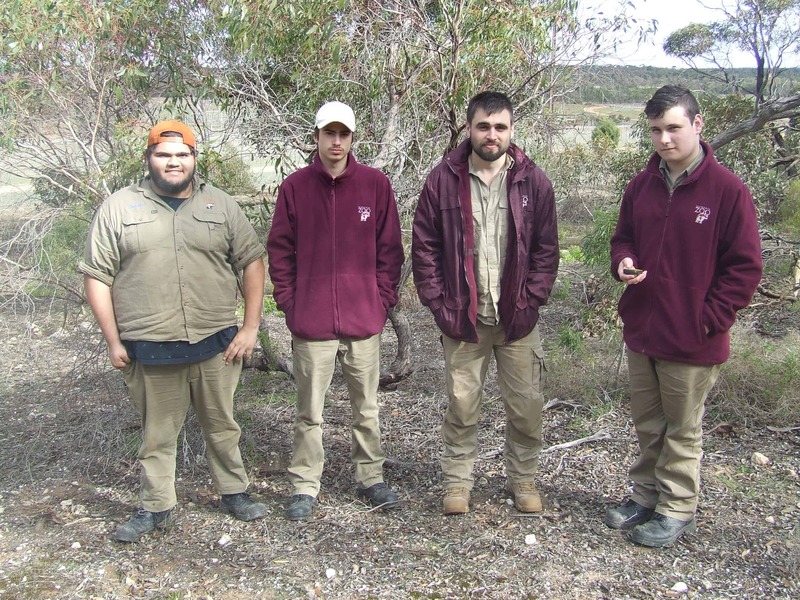 Monarto Zoo commenced its ALoC program in 2010 and since this time has supported 16 trainees to successfully complete various levels of conservation and land management training. 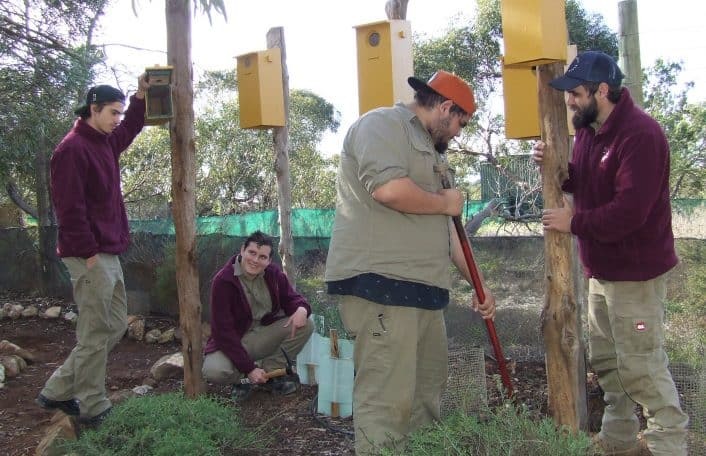 3 previous ALoC trainees have obtained ongoing work at Monarto Zoo and we currently have one full-time and 3 school-based students at Monarto Zoo. 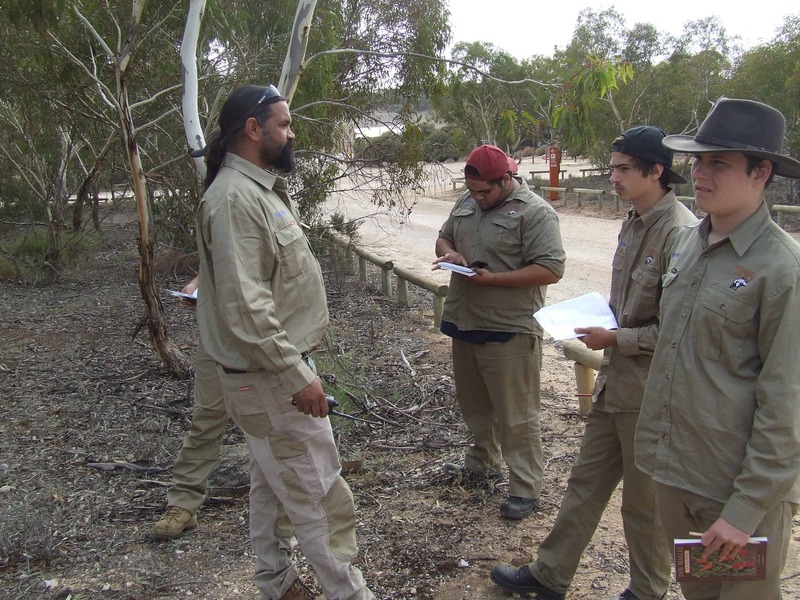 ALoC trainees undertake on-the-job and coursework training towards achieving a Certificate III and/or Certificate IV in Conservation and Land Management over two years. 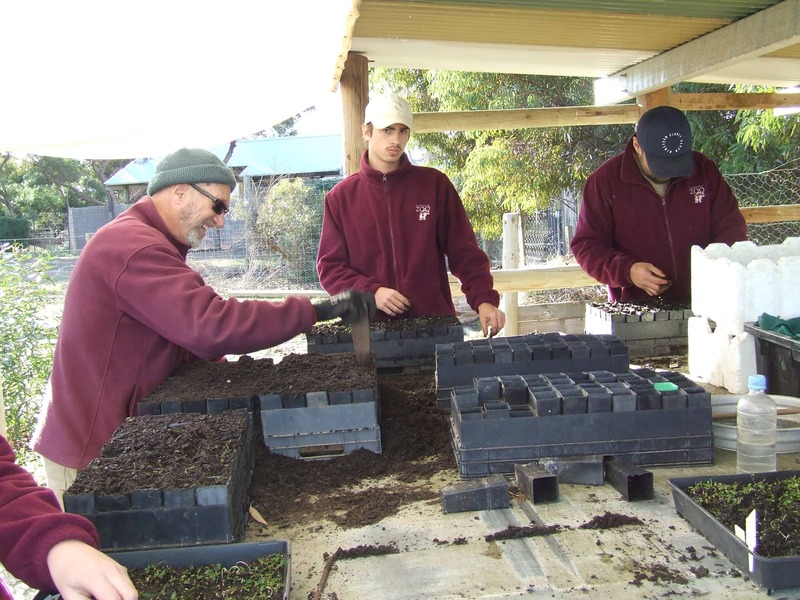 Our school-based trainees use their training towards achievement of the South Australian Certificate of Education (SACE). 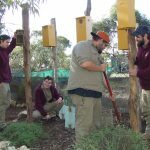 Protecting and restoring habitat at Monarto Zoo for native animal species such as the barking gecko, woodland birds and the pygmy possum. 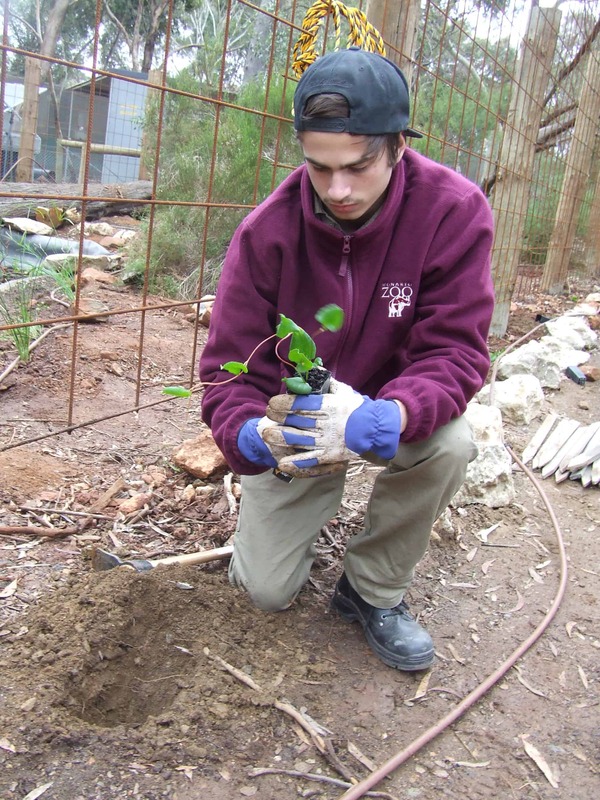 Protecting and restoring threatened plant species such as the Monarto Mint Bush. 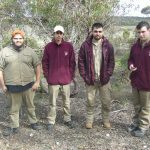 Undertaking feral animal management at Monarto Zoo and at Aroona Sanctuary; foxes, cats and rabbits are some of the feral animals that predate or compete with native animals and are one of the major threats to many native species. 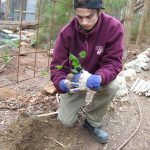 Monitoring native species such as the Murray short-necked turtle; the team monitors turtle nests along the River Murray during breeding season and protects nests from being attacked by foxes and feral cats. 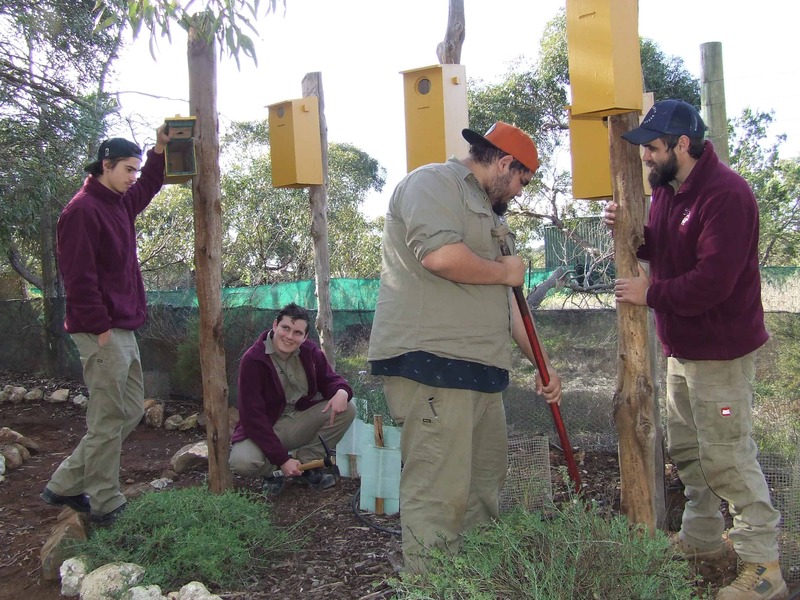 Assisting with Monarto Zoo fauna conservation such as Pygmy Blue-tongue lizard and Mallee Emu-wren programs. 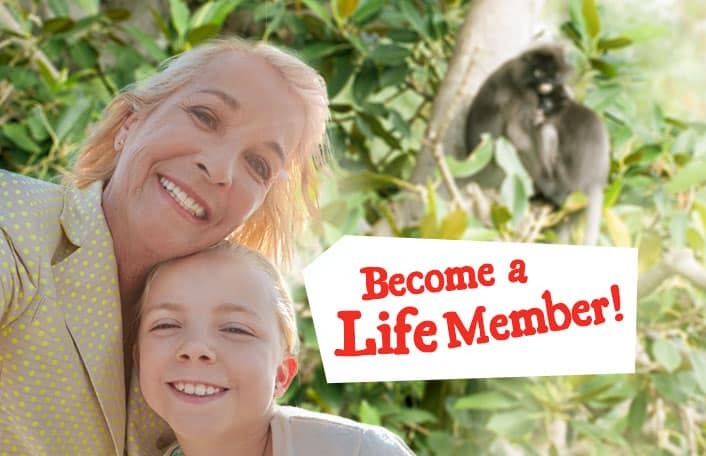 Supervising volunteers, school and university groups in the field to build their skills and understanding of conservation. 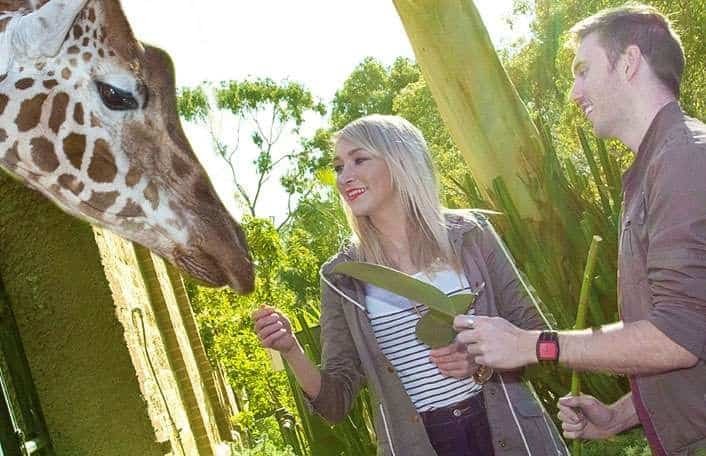 Developing visitor experiences at Monarto Zoo, such as the Ngeragi Ya:yun bush food garden, which teaches visitors about Aboriginal use of native plants for food, medicine and tools. 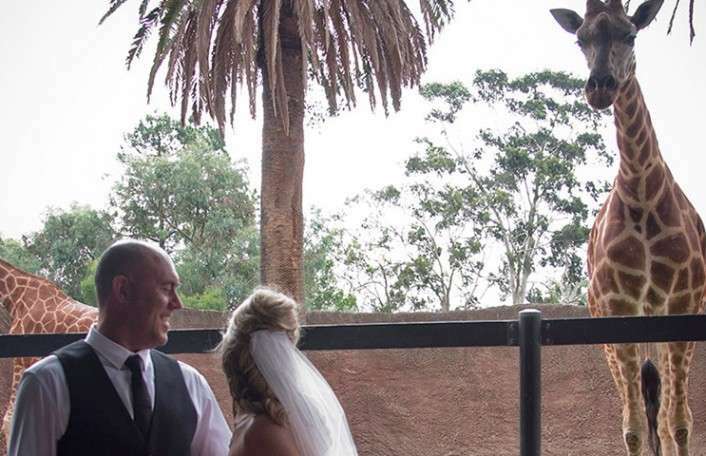 Santos who have been the major partner of the ALoC training program since 2013. 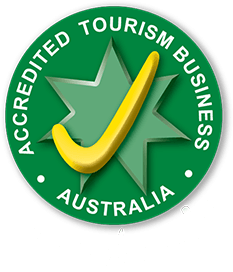 ALoC is also supported by the South Australian Murray Darling Natural Resource Management Board.